I love DIY and love DIY Wallpaper Ideas, I find something new and fresh ideas for achieve so many pretty things and not very expensive with it. This can completely change the look in your interior, we can also dress up a furniture, customize objects brief. The possibilities are endless. For my part, I tried myself to achieve a DIY bedside tables with cases of Designer Box, wallpaper, paint and that was it! Today, I propose to you a few DIY ideas to achieve with wallpaper. Do you follow me? The simplest DIY Wallpaper, this can be one side of a dresser or drawers inside, it is increasingly easy to create a unique design by customizing small drawer table. The wallpaper is perfect to help you decorate small table so that your interior looks just like awesome. Below, this vintage small table is softened by the side coated with wallpaper. This is DIY which I spoke to you earlier with my famous bedside table. The accumulation of cases will allow you to have a modular and custom library to the wallpaper. The cases can be standardized or on the contrary have patterns to create even more personality. By choosing to place your wallpaper above or beside the bed, you can create an original headboard. You can also cover the entire wall, it gives awesome look to your room for not very expensive. You can even combine several patterns either on the walls or on panels. There are very beautiful patterned wallpapers or wood imitation that can be very successful for a head bed. 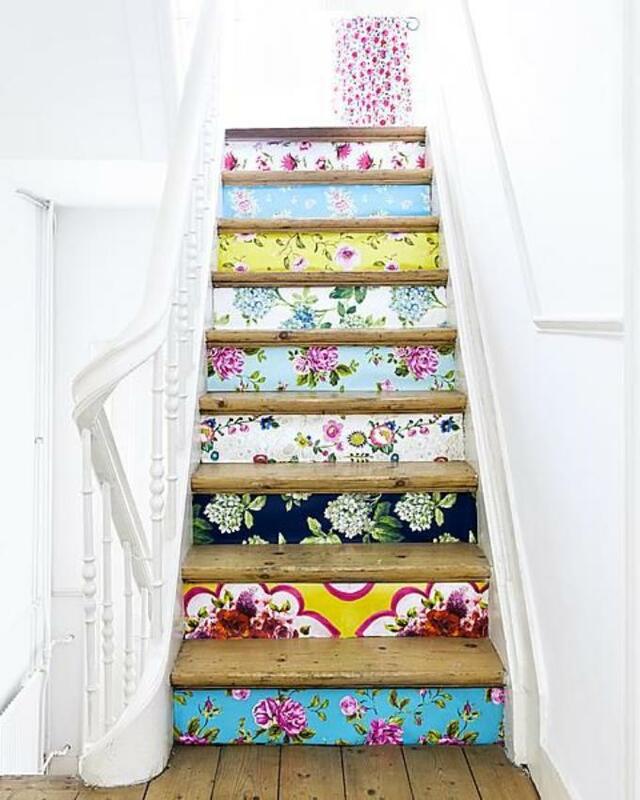 Another good idea to make your stairs less boring is to cover with patterned wallpaper your staircase. We can bet on a mix of patterns or otherwise standardize everything, what is certain is that the result will be amazing! 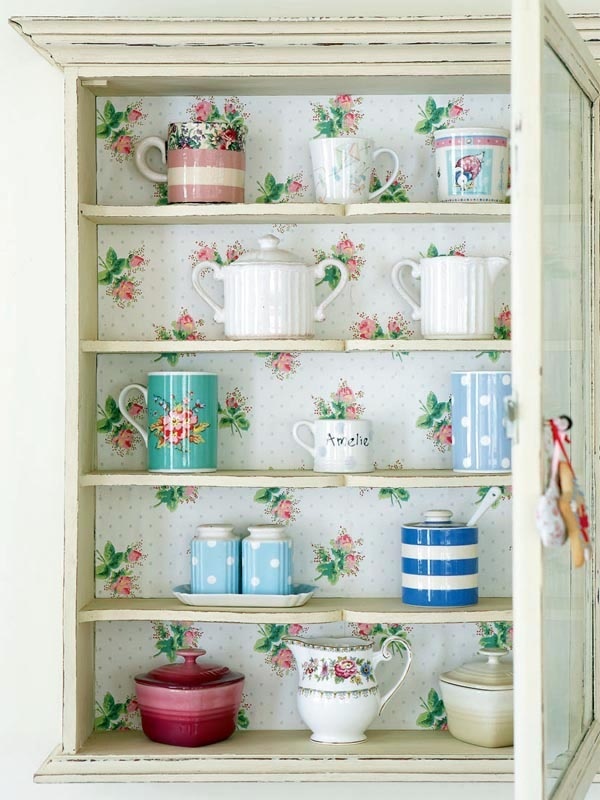 It is very simple to give a style to a door by lining it with a wallpaper as here with a Liberty pattern. 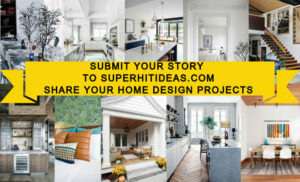 I have the last idea to propose to you, it consists of redecorating your cupboard with wallpaper, immediately, it becomes less boring to store your belongings. In addition, no shame to leave it open now or use glass case! So now you know what to do to boost your room or your old furniture and you … what are your ideas?